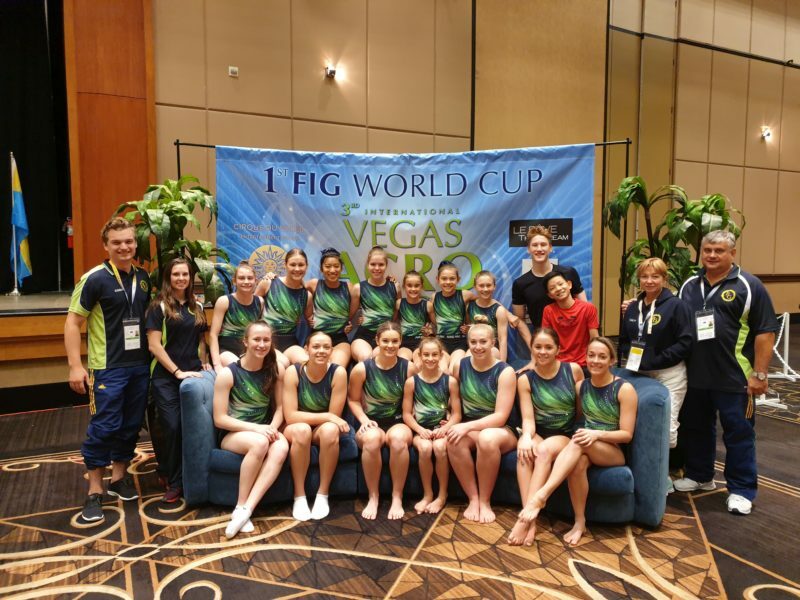 Congratulations to all our athletes that competed at the 2019 Vegas Acro Cup! Our athletes all had a great time and gained lots of experience – the event featured 1100 competitors, across 18 different countries! Two of our groups made finals, with our International Senior Trio of Asha, Talia and Caliese finishing in 6th place, and our International 13-19 Age-Group Men’s Pair of Luke and Cooper in 2nd! Our athletes also had the privilege of watching the Acro World Cup which featured some of the world’s best seasoned national representatives. Safe to say, they all had a wonderful trip.